There are many ways to use our money. We may use cash, debit and credit. Various electronics solutions also provide different ways to use our money. It’s our obligation to use money the smartest way possible. Depending on your situation, there’s the best payment method that you can choose. Cash is an universally accepted method of payment. It’s easy to implement and we are always aware of how much money we have. By paying with case, we are able to avoid overdraft, bank maintenance and other fees. Even if we lose a wad of cash, we will lose our money. There’s no risk that our entire savings account will be compromised. When we lose our cash, there’s no real information that people can use to steal important information. Every single bill comes with unique and long serial number. It’s impossible for malicious individuals to trace it to our actual account. We should also know that for larger transactions, cash will take up more room. It’s also easier for bad individuals to notice whether we are bringing a large amount of money or not. Often, it’s difficult to track how much money we have spent. Many sales points, such as vending and soda machine require the use of coins and one dollar bills. So, we still need to bring some amount of money with us wherever we go. In fact, people with financial problems are highly advised to pay only with cash in their daily transactions. If we want to restrict our spending, it is important to consider what’s the best way to do that. As an example, we should bring only a limited amount of money. This is very easy to control. We only bring a limited amount of money in our wallet, while credit, debit and ATM cards are left at home to avoid urge for excessive spending. Cash is also a great educational tool. Small children can be given a small amount of money and they can be told to manage it wisely. Also, teenagers should also be given cash, instead of their own credit cards to prevent excessive consumption. 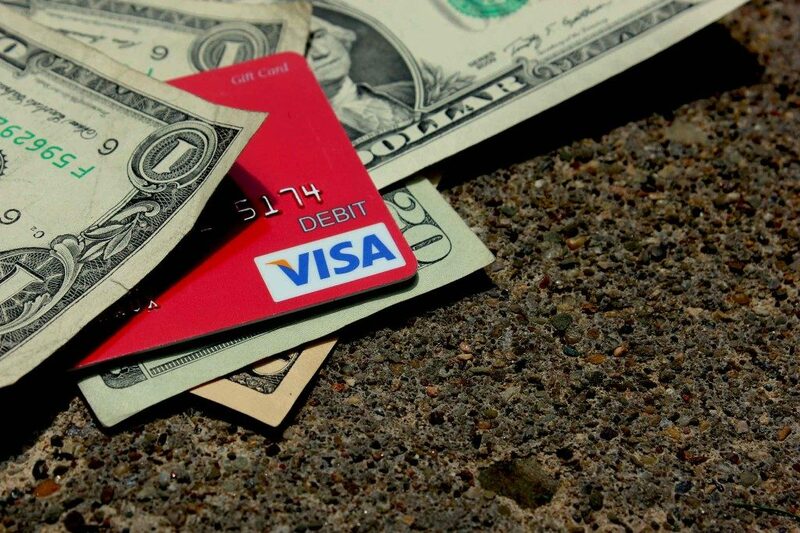 Although credit and debit cards often have bad names, they could provide us with a number of benefits. These cards allow us to make big and multiple transactions quickly, without paperwork and other details. Depending on our situation, we may also choose between debt and credit cards. Credit and debit cards are able to consolidate all our monthly payments into a single payment. This makes our lives more comfortable and we don’t need to wait in line to pay for something. Cards are also useful when we don’t have the money to pay for something. If our cards are lost, we may prevent potential theft by reporting this incidence to banks. Our transactions will also be recorded, so illegal activities can be discovered quickly. However, we should know that using credit cards doesn’t mean that we have unlimited funds. We should avoid spending more than necessary. Debit and credit cards should be used in proper situations where we can make withdrawals in emergency situations.